According to the CDC, July and August are the most popular months for babies. It’s no coincidence September is Baby Safety Month! If you are lucky enough to have a precious little new inhabitant of your house, you want to make sure they are properly nourished. High levels of hard water are directly associated with atopic dermatitis (eczema), an itchy inflammation of the skin. Hard water can be a catalyst that triggers this reaction. According to a new study led by King’s College London, living in a hard water area was associated with an up to 87% increased risk of baby eczema at three months of age, independent of domestic water chlorine content. While it is not known if calcium carbonate buildup is directly linked to causing these issues, or whether the pH levels or other factors at play, what is known is that having hard water is not good for adults, let alone the tender skin of a young child. 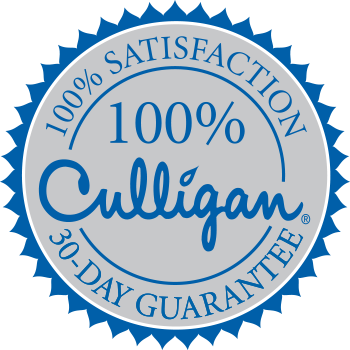 Installing a high-grade Culligan® water softener can ensure the health of your child’s skin is at a limited risk. Water itself doesn’t have an all-encompassing ability to effectively cleanse skin gently. If you are living in a hard water area, consider using a liquid baby cleanser. Though more studies are needed to attribute the specific contributions of ingredients of these formulations, the correlation between using such a product and your child experiencing less effects of dry skin is positive.